‘The title for the executive responsible for designated marketing functions (such as marketing research, product planning and market planning, pricing, distribution, the promotion mix, and customer services) and for coordinating with other departments that perform related activities (such as packaging, warehousing, order filling, shipping, design of new and improved products, credit, billing, collections, accounting, legal, transportation….’ And it goes on! We know that the role is even wider than this and that few marketing managers actually share all of the same responsibilities. The variety of the role is a great opportunity and offers marketing managers vast experience, but also leads to generalists who have to juggle a lot of different skill sets and areas of work at once, with the confidence and understanding to make decisions, which is a hard and often lonely place to succeed. We’re taking the pain out of some of the most common areas of focus for the modern marketing manager, to help you understand what’s important and what's technical fluff you don’t need to focus on. There are a plethora of tools out there which can provide you with information on keywords by tracking the search terms people are using to arrive at and navigate your site. Keywords are gold dust when looking at SEO. Data on search terms is now so tightly locked down that you have to work to find the ideal keywords to target. The initial stages of this are to outline what the terms they are for the information or products you want to list for and who it is you really want to find you in terms of audience. People often need to take a step back to understand their keywords and look at the true language of their industry and audience. We often find that the internal language of companies isn’t necessarily a true representation of the language people are using in search, so take time to make sure you’re on point. 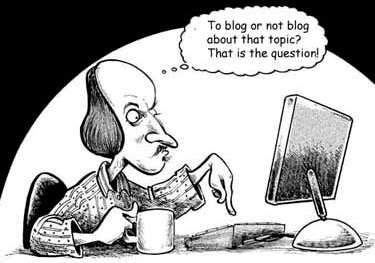 People often don’t understand that the most important reason companies blog is SEO. A blog isn't just for articles about the run your HR team completed last week. Your focus should be to write content about your targeted keywords in long tail form that is searchable. But there are important things to note when blogging; frequency matters. To see a benefit from blogging you should be publishing new content at least three times a week (as a minimum), so plan ahead, as the quality of what you put out will directly affect how successful you are. Target topics you know people are searching for and that you are trying to improve your search engine listings for, and start with those. Blogging also increases the number of searchable pages on your site, which builds your authority, so another tick in the SEO box. But for all this to offer any benefit, your blog MUST be hosted on your website as a subdomain, not on a completely different website (e.g Wordpress), or all the SEO benefit of blogging is lost. Generally people go for blog.yourwebsitename – if you’re just starting out, get someone techie and in the know to set this up for you. Long tail search terms are more specific, so rather than trying to list for a few words, you list for a string of related words: eg. instead of ‘red shoes’, you might choose to list for ‘ladies red leather shoes’, this more specific information means that you are being clear about what search term you can answer with your content. This can be a great option where the more generic short terms are very competitive and crowded. You’re driving only those looking for that more specific information, rather than a bulk of search traffic, a section of whom might be interested in your content. Targeting long tail is something to embrace to help not only your prospective audience find your content more easily, but also to build page ranking for content by differentiating from the masses. An often undervalued and over looked area of your websites content management system is the meta data. People are keen to get content in and live quickly and either don’t pay attention to or don’t understand the value of meta tags and descriptions. But don’t miss these important nuggets of data. Search engines can’t pull essential information about your sites content if you don’t tell them by putting it in the right places. Your page title is located at the top of your browser window when you're visiting a web page. Your meta title is a key ranking factor for search engines. A meta description is a concise (150-160 character) explanation of the web pages content, shown underneath your page title on search engines. Although not directly linked to your position on SERPs, your meta description plays a key role in gaining that all important organic search traffic. Paid search engine listings don’t affect your SEO – the most important thing to note. Paying for advertising on a certain topic will not improve your organic performance for the same content. But, where you are really struggling to rank, paying to drive traffic can be a proactive step in driving leads. This is a complex thing to get right and needs management, so we only use this when we’ve tried organic improvement and the terms are overcrowded, or where the language is open to wide interpretation. If you need to improve visibility of a term quickly, then paying to raise awareness and be seen can be a really beneficial move. The most important thing to learn - SEO never stops, you never reach where you want to be and stay there. This is a fluid and ever changing task that you need to tackle on an ongoing basis, and following the rules is the only way to truly succeed.